In the Bay Area’s ultra-competitive housing market, Darcy and Christopher Barrow discovered an underserved niche: high-end rental homes in Marin County. The married couple runs Foundation Homes International, a property management company that specializes in single-family homes valued at upwards of $1 million that rent between $5,000 and $15,000 per month. 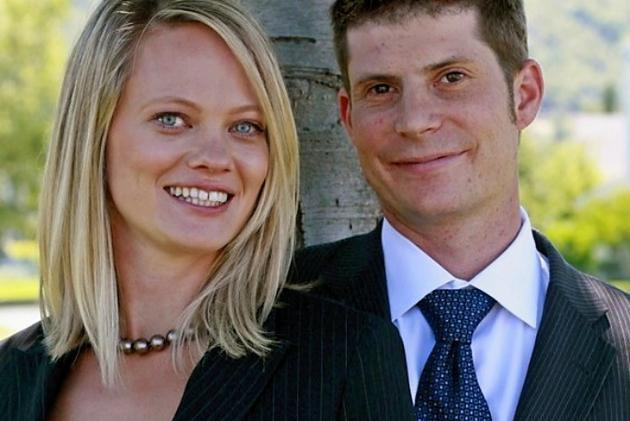 Darcy Barrow (left) and Christopher Barrow (right) started Foundation Homes International. With rental prices soaring in the last few years, many homeowners realized they could downsize without having to sell their home. Instead, they rent it out and move elsewhere. Foundation manages 115 single-family homes peppered throughout Marin County, where the median home sale price is $1.13 million and the average rent is about $4,500 per month, according to real estate information company Zillow (NASDAQ: Z). Darcy Barrow said demand for rental properties has surged thanks to the Bay Area’s hot job market. Some of the firm’s renters are newcomers to the area, San Francisco transplants “trying out” the suburbs when they have kids or workers who don’t know how long they will be in the area. The common factor is that desire to live in a million or multi-million dollar home without having to buy it. The trend of homeowners becoming landlords is increasing across the state, said Selma Hepp, chief economist with residential brokerage firm Pacific Union International. Two key factors come into play. One is Prop. 13, California’s property tax law that caps annual growth of property taxes. That law gives owners a bigger tax advantage the longer they own their property, which is why many longtime Bay Area homeowners with lots of equity in their properties don't sell. The second is that some would-be sellers don’t want to pay capital gains taxes, which kick in on a profit of more than $500,000 for a married couple. Also, if an owner bought their home say two decades ago, it’s likely that rental revenue would be “well in excess of their mortgage payments,” Hepp said. One result is that the number of single-family homes occupied by renters rose from 13.2 percent in 2005 to 16.8 percent in 2015 nationwide, according to a report from Terner Center for Housing Innovation at the University of California, Berkeley. Another consequence: less inventory in an already tight housing market, which leads to an increase in prices because buyers have fewer options.